MREAST NBA Total on Nuggets/Spurs *944-727 Run*! Ranked #20 in NBA this year! Mr. East is now 944-727 (56%) over his last 1698 NBA picks! Don't miss out Saturday with Mr. East's winner on Nuggets/Spurs that comes GUARANTEED TO WIN or the next day is FREE! MREAST NBA Spread on Rockets/Jazz *16-9 Run*! 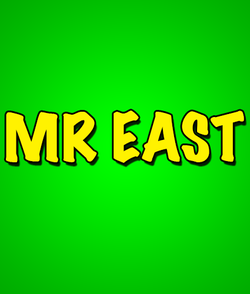 Mr. East is now 16-9 (64%) over his last 25 NBA picks! Don't miss out Saturday with Mr. East's winner on Rockets/Jazz that comes GUARANTEED TO WIN or the next day is FREE! Now on a 66-55 run with my last 122 All Sports picks! $1,000/game players have cashed in $17,470 on my All Sports picks since 12/09/18 and $16,820 on my All Sports picks since 12/10/18! *This subscription currently includes 2 NBA picks but more may be added during the term of the subscription. Join now for only $5.48/day and start cashing in on more winners! $1,000/game players have cashed in $28,670 on my NBA picks since 12/03/18! MREAST finished last season at +16.89 units of profit. he is a former professional baseball player, that excels at capping the diamond. Get the rest of the season through the playoffs. The Portland Trailblazers have taken a commanding 2-0 lead over the Oklahoma City Thunder. This is the modern NBA and if you can't knock down 3's you are very likely to lose. Looking at the 19 playoff games so far, the one stat that has proven this point so far is the team that makes more 3's is 15-4 SU/ATS. If you look at it from a 3-point FG percentage basis the team that has made the higher percentage of 3's in the playoffs this year is 17-2 SU/ATS. It really shows what the NBA has become. This series through 2 games is loaded with 3-point shooting percentage, as Oklahoma City is a woeful 10-61 from deep hitting at 16.4%, while Portland is 24-57 connecting on 42.1%. These teams finished the regular season hitting close to the same from deep. The reason Oklahoma City is losing has a lot to do with this, as there has been 45 points of 3 point variance. Playing at home should help the pendulum swing in favor of Oklahoma City, as well as the motivational factor of needing to win. Portland is also in a historically bad playoff spot. A road team that is better than .600 to a lone of +6 or more and off a home win of more than 10 points, and is series game 2 or more (playing the same team) is 2-26 ATS with 10 of the 26 losses coming by 19 or more points. Oklahoma City is in a very favorable spot as playoff home favorites off a loss of more than 8 points are 137-81 ATS in the last 218 instances. Make the play on Oklahoma City. #1 ALL SPORTS THIS YEAR!